LONDON, U.K, Sept 27, 2016, Canonical today launches a distribution of Kubernetes, with enterprise support, across a range of public clouds and private infrastructure. “Companies moving to hyper-elastic container operations have asked for a pure Kubernetes on Ubuntu with enterprise support” said Dustin Kirkland, who leads Canonical’s platform products. “Our focus is operational simplicity while delivering robust security, elasticity and compatibility with the Kubernetes standard across all public and private infrastructure”. Hybrid cloud operations are a key goal for institutions using public clouds alongside private infrastructure. Apps running on Canonical’s distribution of Kubernetes run on Google Compute Platform, Microsoft Azure, Amazon Web Services, and on-premise with OpenStack, VMware or bare metal provisioned by MAAS. Canonical will support deployments on private and public infrastructure equally. The distribution adds extensive operational and support tooling but is otherwise a perfectly standard Kubernetes experience, tracking upstream releases closely. Rather than create its own PAAS, the company has chosen to offer a standard Kubernetes base as an open and extensible platform for innovation from a growing list of vendors. “The ability to target the standard Kubernetes APIs with consistent behaviour across multiple clouds and private infrastructure makes this distribution ideal for corporate workgroups in a hybrid cloud environment,” said Kirkland. 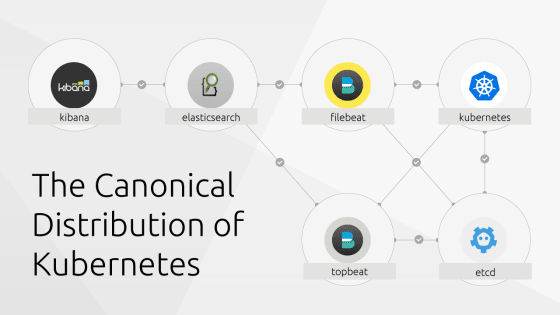 Canonical’s Kubernetes charms encode the best practices of cluster management, elastic scaling, and platform upgrades, independent of the underlying cloud. “Developing the operational code together with the application code in the open source upstream Kubernetes repository enables devops to track fast-moving K8s requirements and collaborate to deliver enterprise-grade infrastructure automation”, said Mark Shuttleworth, Founder of Canonical. Enterprise support for Kubernetes is an extension of the Ubuntu Advantage support program. Additional packages include support for Kubernetes as a standalone offering, or combined with Canonical’s OpenStack. Canonical also offer a fully managed Kubernetes, which it will deploy, operate and then transfer to customers on request. This product is in public beta, the final GA will coincide with the release of Juju 2.0 in the coming weeks.For more information about the Canonical distribution of Kubernetes, please visit our website.